Usually I don’t write my posts in English. But this time I’d like to share my thoughts with two colleagues of mine, Florence from Paris and Laura from Lago di Como. They both inspired me to write this post when we met in Brussels last week. On our walk back to the hotel late at night we were chatting about simple dishes, the smell of good olive oil, where to buy the best cheese in the world (FRANCE!! ), the one thousand variations of German bread and how happy high-quality products can make you. I enjoyed this walk and talk so much as it was exactly what this blog is about: Food can build bridges and can help turn strangers into friends. 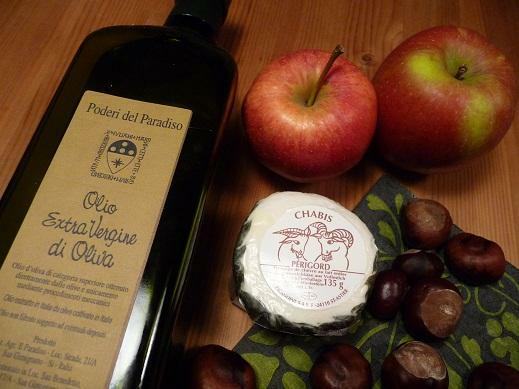 Let me share Florence and Laura’s favourite simple dishes with you. Cut the tomatoes in very thin slices and place them on a plate, followed by thin slices of the beef carpaccio. Drizzle one or two spoons of the olive oil over the slices (Florence recommends L’Olivier oil which is delicious). Give a pinch of salt over each plate and cover with some chopped basil leaves – done! You can add some French cheese if you like. 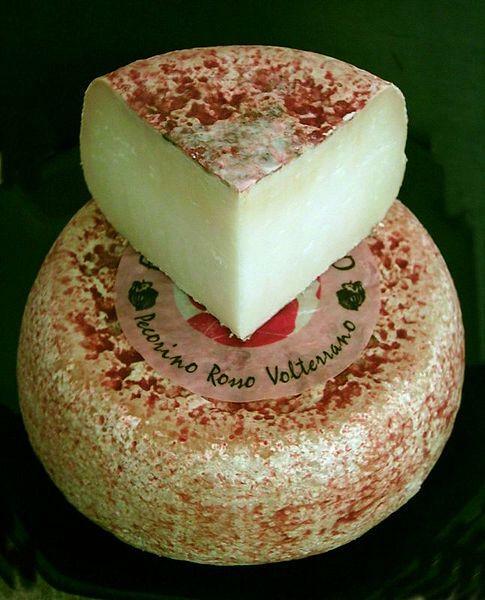 Florence recommends Basque goat cheese (fromage de brebis basque) which is – in her words – unforgettable. Now transfer the al dente cooked pasta to the bowl, mix everything and say: Buon appetito! So all I need to be happy is a thick slice of fresh grey bread (rye, sour dough… no need to list all the variations of wonderful bread), a good measure of real butter, some slices of sun riped tomato and some chopped chives on top of it. But you can add anything on top of fresh bread or even enjoy it without any spread. After long journeys abroad this is the best dish to feel back home again. Share your simple dish with Laura, Florence and me. We’re quite curious about it. YUM! That sounds delish!! My favorite topping on crusty baguette bread? Sliced fresh tomatoes, fresh basil and a slice of mozzarella cheese on top, broiled to gooey, toasty perfection. Heaven.